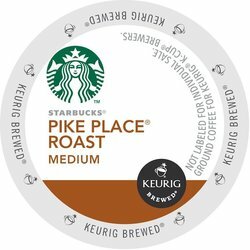 Starbucks Coffee - Pike Place Roast - K-Cups. A delicious coffee with a smooth body and subtle flavors of cocoa and toasted nuts. A rich, satisfying and balanced cup. Each box contains 24 single serve K-Cups.